What if it’s my last day? 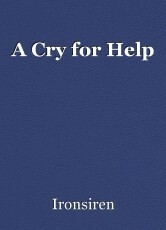 for a cry of help. © Copyright 2019 Ironsiren. All rights reserved. It's hard to show how bad you feel when you know that nobody really wants to hear. A lot of people will be able to relate to this very well-written poem.